Woke and got up in quite a leisurely fashion and took Mix for a walk. Came back and packed my book and my i-pad into a bag and loaded Mix into Rachel’s Berlingo along with Rowan. Rachel and I then set off for Barnoldswick to visit the Young Rachel (Rachel’s canal boat). It was just beginning to get dark when we arrived and it was absolutely pouring with rain – ‘chucking it down’ doesn’t do justice to how wet it was. By the time we had parked the car and transferred ourselves, the dogs and our bits and pieces to the boat we were all half-drowned. The first task was to get the stove going and this was a bit problematic as we had no firelighters, nor kindling. Rachel nipped up to the garage and collected some of each and soon we were in business. In no time at all the boat heated up and it was lovely to be there. In fact we spent all day (morning and afternoon driving, and then on the boat) listening to Radio Four’s ten-hour dramatisation of War and Peace (with an all-star cast). It was superb. We had a meal as we listened to the final part of the story and then we braved the elements to walk the dogs. I had changed into dry clothes and when we got back I had to change again. The marina road was under water. It was unbelievable. 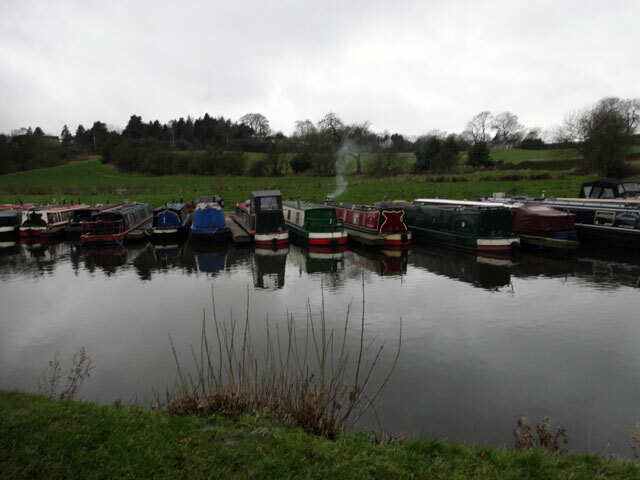 And so we went to sleep in the cosy warmth of our boat, tucked up in our huge double bed, with dogs at our feet, listening to the rain bouncing off the roof. What a lovely way to start a new year!